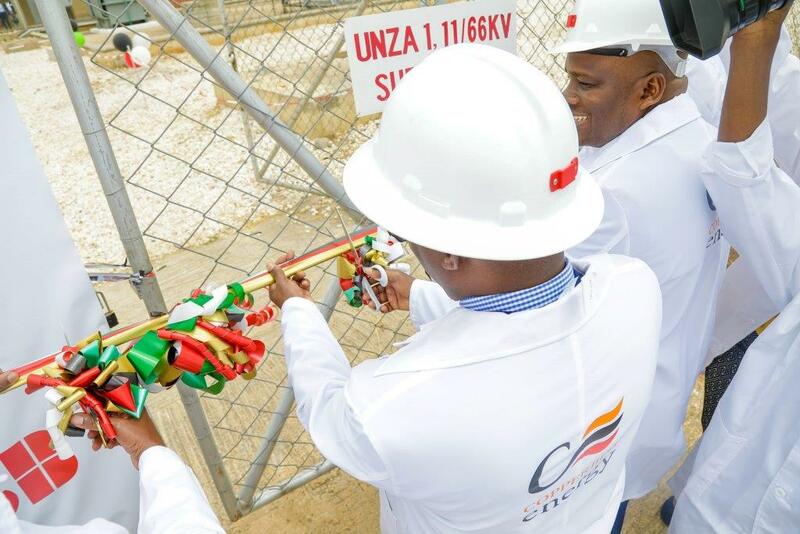 The Copperbelt Energy Corporation Plc (CEC) and pioneering technology leader, ABB, have today handed over a retrofitted and digitised substation to the University of Zambia’s School of Engineering. The substation, which forms part of a mini power system comprising two substations, switchgear room, transmission line, battery and control rooms, has been equipped with modern protection equipment and a digital bay, the first of this technology in Africa. Designed to provide practical learning in electrical engineering and power system management, the infrastructure was developed and commissioned by CEC in 2016 at a cost of USD2,560,000. CEC has spent another K118,000 on the upgrade and other infrastructural rehabilitation works. CEC and ABB have collaborated to deliver the project under the auspices of the Education Partnerships in Africa, an initiative crafted to facilitate the provision of institutional support to the University of Zambia and Copperbelt University in the areas of staff training, provision of training aids and infrastructure rehabilitation primarily through industry and academia linkages. Managing Director, Owen Silavwe, said CEC’s involvement and contribution to the technology upgrade and facility rehabilitation reaffirmed the power utility’s belief that close and sustained collaboration between the business sector and academia as espoused in the objectives of EPA could progressively improve the delivery of training and education at African institutions of higher learning and the attained qualifications. “By creating these state-of-the-art training facilities for engineering students, CEC aims to create a strong partnership with the Government, the University and the nation in developing a pool of fully capacitated human capital ready to meet the needs of the changing landscape in the power sector in Zambia by helping reduce the skills gap in engineering students through exposure to the real-life electrical equipment used in industry,” said Silavwe. ABB Senior Vice President, Global Head of Government Relations, Tobias Becker, said the pace at which technology evolved required to be matched with the creation of learning opportunities that were in tandem with the needs of industry. “ABB is a strong believer in the power of engineering to promote human development. We are proud to be able to support Zambia’s largest university to modernize their offering and ensure their graduates help the economic growth of the country and support the access to energy. This substation will help Zambia to accelerate skills development as we look towards the future of energy,” said Becker. Energy Minister, Mathews Nkhuwa, hailed CEC and its partners for their continued support to the Government noting that the infrastructure provided would significantly contribute to the training of engineers who would be well equipped to meet the challenges and opportunities in the energy sector in order to transform the country’s economy.